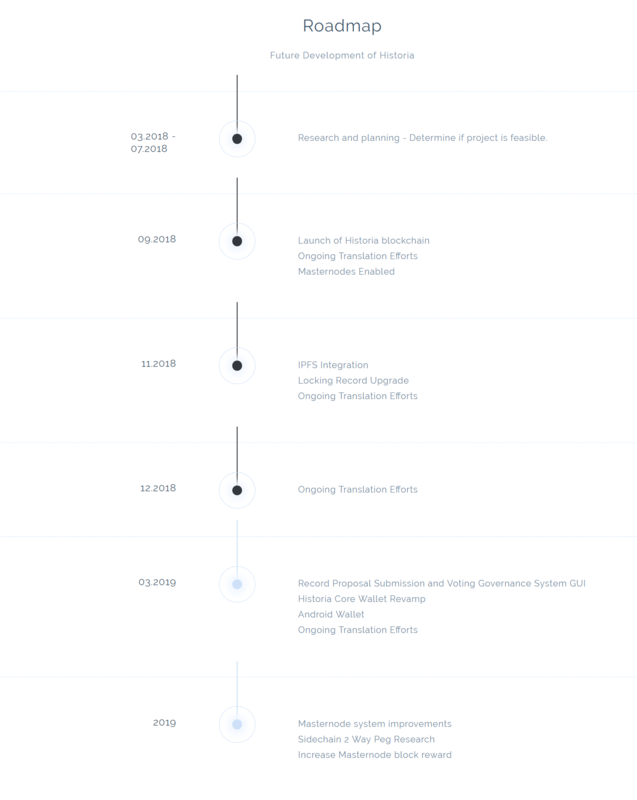 We have carefully mapped out timeline of events designed to engage our early adopters as we continue to develop the Historia platform. The plan lays out our accomplished milestones, including the release of Historia blockchain in August 2018. And the most recent integration of IPFS (InterPlanetary File System) to allow us create a content-addressable, peer-to-peer method of storing and sharing hypermedia. The roadmap extends until 2019 with the development of the Historia wallet, Masternode system improvements and research into sidechain 2-way peg. “Our biggest milestone so far is, of course, the launch of the Historia blockchain,” said Marshall, Lead Developer. “As a matter of fact we have already decided how Historia will work for its users, but we are seeking ways to develop further the economics of the system” he added. Our next milestone on the roadmap will be Historia wallet revamp for the Android users and the development of a more user-friendly interference so that the general public could start uploading the historic events. While development continues, don’t miss out on any updates, [sign up]. Join us on [Discord] to learn more about how Historia will preserve worlds history and how to use our solution.